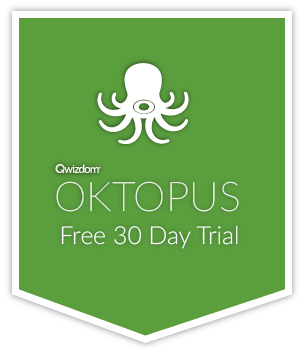 We have some exciting new changes to OKTOPUS which we will be able to share more of once released, but we also have some new feature requests from our community which we’d like to talk about here. Our users have asked for new shapes, so we will added a plethora of new shapes to choose from. Right now you can draw a rectangle/square, a circle, a triangle, or a freehand shape. But we’ll be adding in stars, shapes, and a bunch of random shapes too! All of these shapes can be edited to change their line colour, fill colour, and opacity. For our maths teachers among you, we have added in the ability to set the number of significant figures when creating OKTOPUS sums. This will be set through the Preferences screen under the Settings cog. By default, it will be set to 3. We’ll be getting both of these in for the next update, so keep an eye out! Also coming for the next update is a brand new audio playback tool design for a better audio experience within OKTOPUS.